Technics SL-1200G turntable – giving the customers what they want? UPDATE: Since I posted the blog below, it’s been reported that Technics is saying the SL-1200G will sell in the USA for $4000. So, at last the Technics turntable is back: the company has just announced two models are on the way this year. A limited edition 50th anniversary model, the SL-1200GAE (above) will be first out of the traps, with just 1200 available worldwide from this summer, followed by the SL-1200G some months later. The two will join the Grand Class G30 range announced at IFA in Berlin last September, and while some are viewing the arrival as being very much on-trend, given the current much-vaunted vinyl revival, which has even seen LPs back on sale in some Tesco supermarkets, the new model is so close in concept to the old SL-1200 models one might wonder why Technics took so long. It was, after all, the main question being asked when Panasonic first announced it was reviving Technics back in 2014, so much that what was actually announced – the flagship R1 series and more affordable 700 Series line-up – was in danger of being lost in the fog of ‘yes, but will there be turntables?’ speculation. Not that Technics did much to quash the rumours, even alluding to the turntable heritage in the launch presentation for its ‘revival’ range. 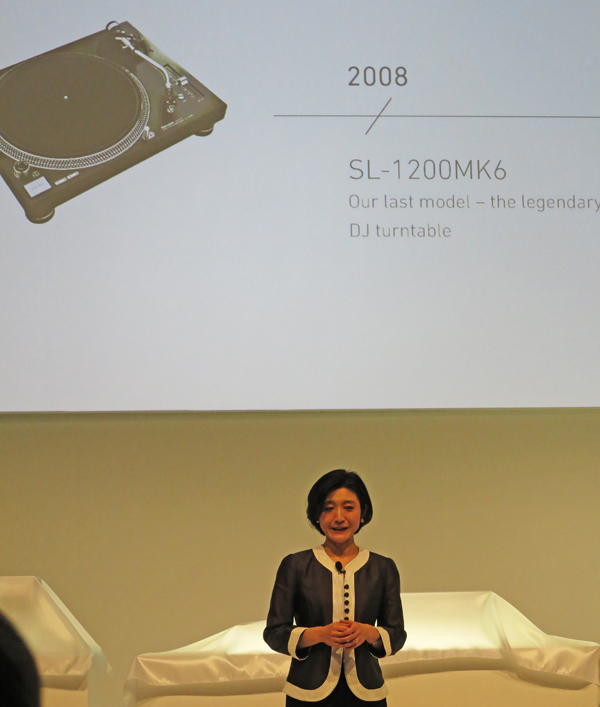 Way back then Technics head Michiko Ogawa (above) said that the DJ’s favourite turntable was long gone, and that it would cost a fortune to retool to make it again – although she did drop hints Chief Engineer Tetsuya Itani (below) had been experimenting with some ideas he had on the subject of vinyl playback. 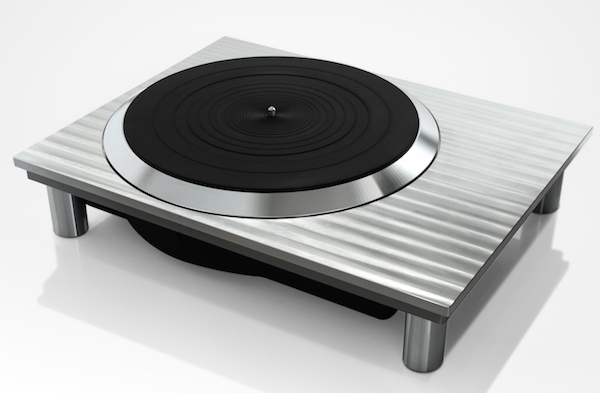 When a prototype turntable (above) was shown at IFA last year, it looked very different from the classic SL-1200 series models, with a rippled-effect top-plate to the plinth and a much more skeletal design, making it look rather more like a typical high-end turntable and less like a DJ deck, excellent though the Technics decks have proved – at least with some fettling – as audiophile players. After all, the SL-1200 series was never designed as a DJ deck: it, and the SP-10 models widely used in broadcast studios back in the days when they played records, were built as hi-fi, and only adopted by the DJ community due to factors such as their high-torque direct-drive motors, pitch control and armour-plated build quality. So, what to make of the new SL-1200G and SL-1200GAE, beyond the fact I’m deeply touched they’ve put my initials on the limited edition version? Well, given the silly prices sellers seem to think people will pay for an as-new original model – around £1300 or $2300 for a still-factory-sealed example – not to mention the inflated prices of what are clearly very knackered eBay specials, many with dubious customisation, the effect of the new arrivals will be very much dependent on price. I’m sure the 1200 Anniversary Edition ones will sell faster than hot ramen on a cold Osaka day – after all, one of the gold-plated SL-1200s will set you back well into four figures used, and someone on that well-known auction site is chancing their arm with a pair of new SL-1210Mk5 gold-platers for £12,000. Or you can buy an SL-1200 Gold from the States for $8k. Snip. Fancy an SP-10, the broadcast-standard direct-driver? You can easily spend well into four figures for just the motor unit, while there’s a complete turntable with plinth and arm on at least one German auction site for €3100, or about £2300. It would seem unlikely that Technics will want to sell its new model for less than current secondhand values (or at least aspirations), although if it did it might well take some heat out of what is arguably an over-inflated market. 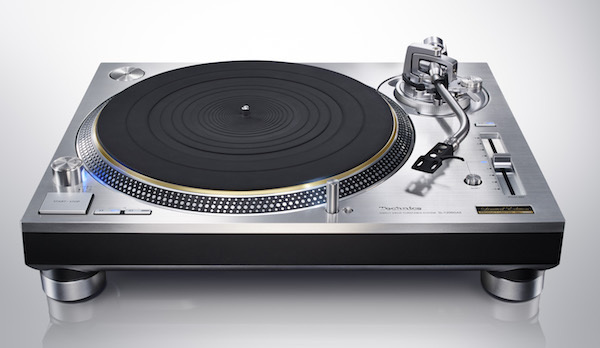 However, the pricing of the ‘new Technics’ products to date suggests that even the SL-1200G is likely to be pitched at levels best described as ‘ambitious’, and it remains to be seen whether, even with all the improvements to the drive, build and so on, it will be beyond the pockets of DJs – or at least the bedroom ones – and into the area where pop-up lights, strobes and S-shaped tonearms are rather sneered at. If that’s the case, it could be that all the SL-1200-alikes punted into the market to fill the gap when the Technics turntable range was discontinued back in 2010 will carry on, and the prices of original SL-1200/1210 variants will continue at their current inflated levels. That could be a missed opportunity: after all, the original SL-1200 was described as a ‘Middle Class’ player back in 1972, not a ‘Grand Class’ one, and back then could even be bought as a motor unit alone, so you could bolt on your own choice of arm. Quite a few SL-120s found themselves fitted with SMEs, for example. And that was kind of what I was hoping for when I first saw that prototype being displayed back in September: a high-quality, but above all simple and frill-free direct drive motor unit for enthusiasts, perhaps available with a no-nonsense straight arm or even no arm at all, and designed to take the fight to the likes of Pro-ject and Rega. 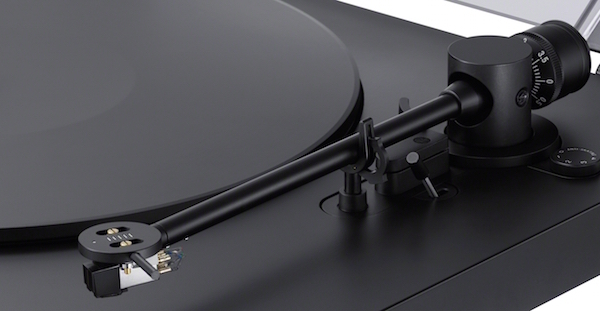 In other words, a bit like the Sony PS-HX500 turntable (above), which also broke cover this week, and which is a simple design with what looks like a more than reasonable tonearm attached. Well, simple with the added benefit of built-in DSD-capable analogue-to-digital hardware to allow it to ‘rip’ records to a connected computer, in anything from CD quality through hi-res PCM all the way up to double-DSD 128/5.6MHz. 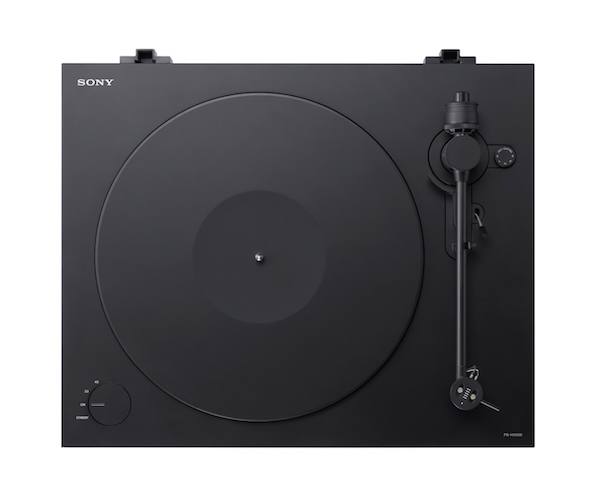 In the Sony’s case, the drive for the platter is via belt, not the Technics direct-drive system, but you get the idea – and the Sony is expected to cost around £400, which is suspect is rather less than an SL-1200G, let alone the limited edition version, will cost you. I liked the clean lines of that first Technics mock-up, but I can’t help thinking the company has taken a slightly safe path with the design of the new models, even though I am sure Itani and his team will have engineered them to within an inch of their lives. Not least, they have developed an all-new motor for the G/GAE, designed to solve some of the problems of past direct drive designs, improved the platter with a triple-layer construction, and completely reworked the fitted tonearm, in aluminium on the standard 1200G and magnesium for the GAE variant. Over the past year or two, I’ve been spending the odd wasted hour following various SL-1200/1210s on various auction sites, and promising myself that one day I’d buy one and spend some time exploring in more depth what all the fuss was about by using it as it was originally intended. If you will, it was just an itch I felt a need to scratch. Very interesting… thank you, Andrew. The Technics 1200/1210 is the most sold turntable of all time, with over a million sales, and I admire the engineering of the new one. I have owned two Linn LP12 turntables from new and a few others. However, I love my 1210 so much, that I’m very tempted to purchase the next one, if it indeed sounds is a good deal bit better. Why? simple because it’s wonderful and simple to use and site, makes a fantastic sound with Denon cartridges, along with others. And is built like a tank for the cost. I now find all belt drive models sound to my ears sloppy on bass, pitch and mid range areas. I found that the belt drive turntables alway needed special stands, and check-ups, which takes the fun away from simply buying and playing vinyl. The balanced heavy 3 piece plater, better main bearing and far improved arm justifies a price adjustment. To me the return of the 1200 is a great day, because it sends a statement to the world that vinyl is on its way back. If only WHSmiths would start stocking vinyl in there stores, then I would be even happier. Dam I’m starting to show my age now! Please buy and own a 1200 Andrew before you knock the new one, because there are a lot of people like myself that are very, very happy with everything it brings to our world. I’m not knocking it – I’m just saying I’m not sure I understand the logic of the design of the new models, when something more like the SP-10 would seem better suited to the aspirations of the revived brand. I think a SP10 replacement could one day show up if the demand arrives. I don’t know if Technics are playing the numbers game, but it seems to be going ok for them as I found out about it via BBC news. Anyway, love the fact you wrote about your feelings towards it, lets just hope we can both afford one! I certainly would love to see an SP10 replacement or, indeed, a stripped down version of the 1200G. Whilst I can understand Technics’ nostalgia effect I feel it’s past it’s sell buy date and the DJ orientated lights and sliders are completely superfluous in today’s market. Bring out a sensibly priced denuded model and I would be one of the first to get my credit card out.